Since Australia’s ODI tour in SA they conceded 5.78 R/o in 29 games. 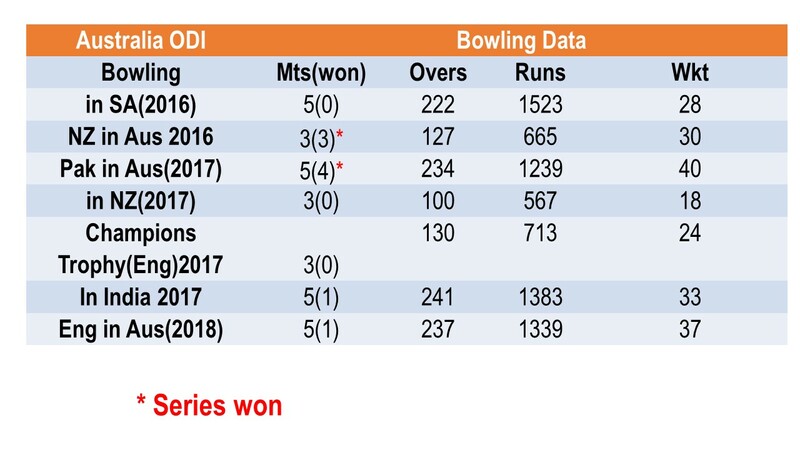 Hence let us look how consistent they were with C 4 (consecutive overs that went for 4 or less runs), and compare it with C 6 (consecutive overs that went for 6 or more runs). 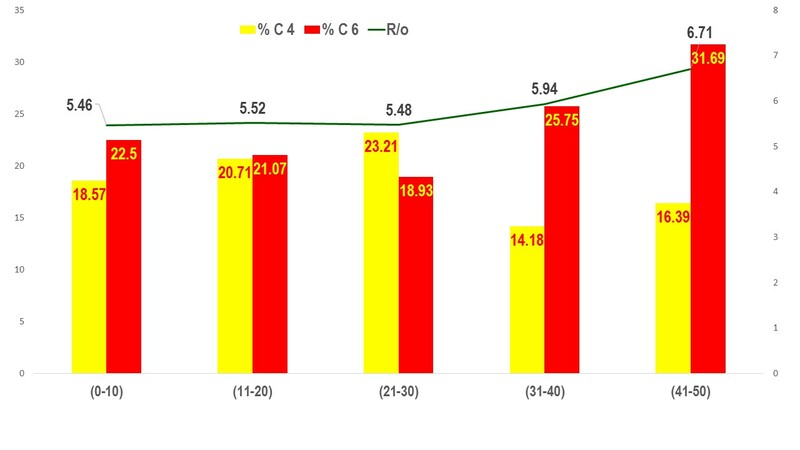 Interestingly there is drop in C 4 and constant rise in C 6. Let us look at series-wise table of the above 2 indicators. 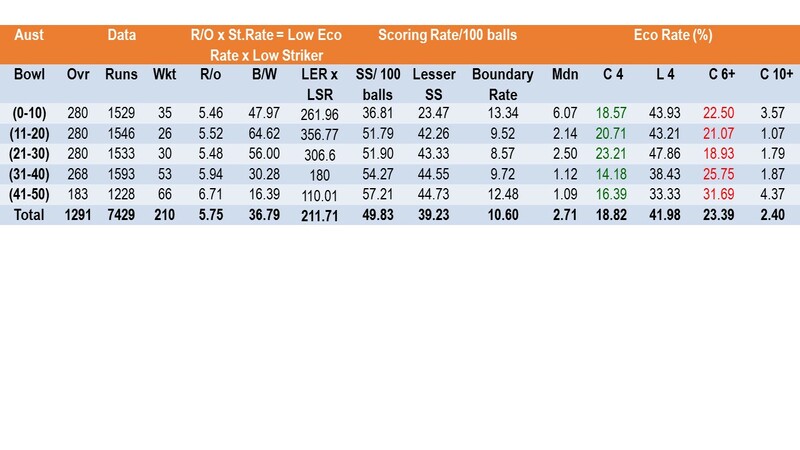 Below analysis displays phase wise performance and first 2 balls and last 2 balls of an over. 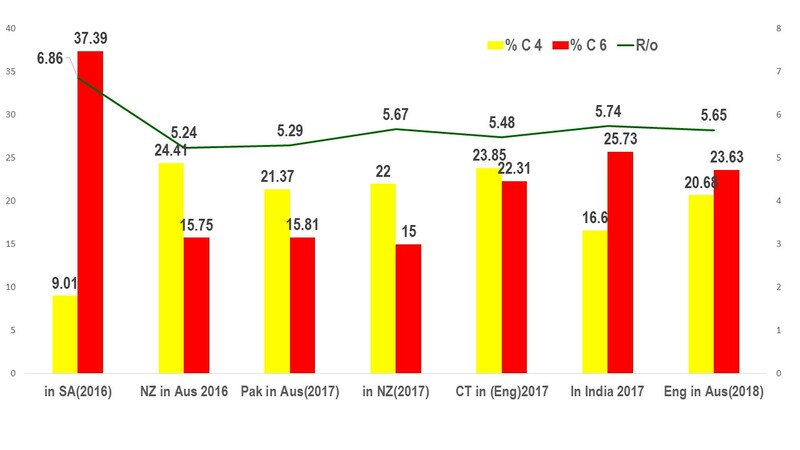 The C 6 "trigger-rise" happened in South Africa in 2016, and then it continued regularly reaching 23% in their last series. From the above gfx it clearly indicates rise in C 6 from beginning of the innings. Every 4 overs you would get back to back 6.00 R/o!!. Below table is summary analysis of each phase(both inns)across primary indicators. These indicators (C 6, C 10, C 4)includes extras conceded by Australian bowlers.